I’ve been gardening with a group of year 3 schoolchildren who have Ancient Greece as their topic this term. The Ancient Greeks were early adopters of the “grow your own” movement, mainly out of necessity as there wasn’t a Tesco metro on every street corner. 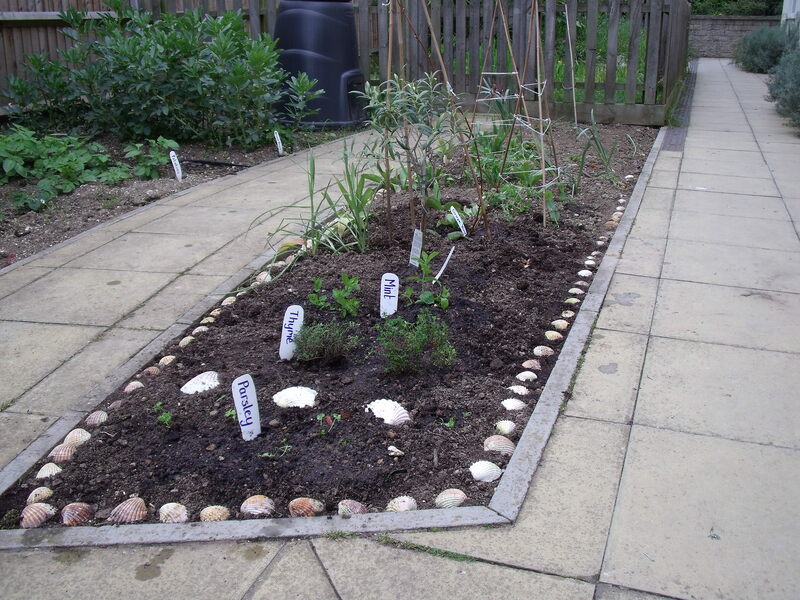 So today we planted a mini Ancient Greek garden to showcase some of the plants that would have been grown for food in Ancient Greece. As I happened to have a bag full of shells I needed to dispose of, we edged our farm with shells to symbolise the fact that the Ancient Greeks ate a lot of fish. They were not huge meat eaters, often only eating meat if they had sacrificed an animal to the Gods. In fact, placing the shells round the edge was the most popular part of the whole session. Next time we might forget the plants and just make patterns in the soil with shells. Categories: school gardening | Permalink.